"My dear boy, I have knit these socks expressly for you. 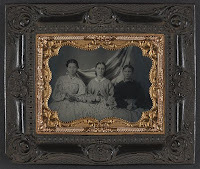 That quote was part of an exhibit I attended in Springfield, Illinois, illuminating Illinois women's efforts during the Civil War. Reading the quote, I smiled--and of course I wanted to know more about that young lady. Did a correspondence begin? Did her dream of romance (for surely that was the impetus for her note) come true? The exhibit didn't say. 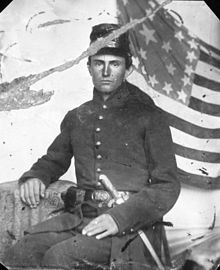 It did, however, introduce me to the Basket Brigade, an admirable fete whereby the women of Decatur, Illinois provided encouragement and a taste of home to the wounded warriors of their day. By March of 1862, several battles had been fought on what was then the "western front" of the war. All available hospital beds around Cairo, Illinois, and into Kentucky and Tennessee were filled. The U.S. Army ordered that wounded men who could travel be relocated to hospitals farther north. The ladies of Decatur stepped up. Every day for nearly ten months, the northbound train stopped at the depot in Centralia, Illinois, where a count was taken and the number of wounded on the train telegraphed ahead. 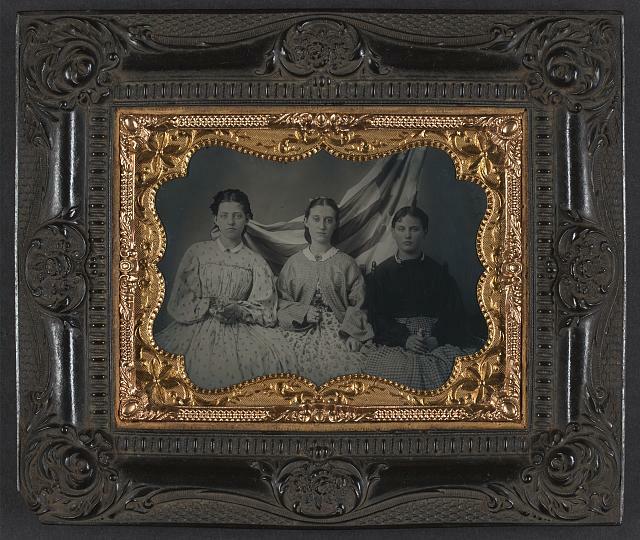 When the train stopped in Decatur at 5:00 p.m, the Basket Brigade ladies were waiting to provide the first home cooked food many of those men had eaten in months. In her memoir, Jane Martin Johns recounts the first time the ladies met the train (after a messenger boy brought her notice from the depot of wounded men on the expected train ... and a plea for help). "When five o'clock came, there were twenty or thirty women on the platform ... Baskets of hot buttered biscuits, cold meats, pies, cakes and pickles, with gallons of milk and cream were ready ..."
"Pale, emaciated, half starved and disheveled, the men met us with apologies for their appearance, smoothed down their hair with their fingers, and tried to hide the dirty rags that covered their wounds ... " She goes on to mention men moved to tears because a bit of bread reminded them of home; men with bandaged hands who had to be fed; passengers who donated funds because they'd heard of the work of the ladies of Decatur. Over 1,200 men were served during the nine months of the Basket Brigade's service. "Fried chicken, by jove, boys!" "Hurrah! pickled peaches! did you ever?" "Hello boys, I've got a jam sandwich!" "That's nothing, I've got a piece of genuine pound cake!" Have you ever participated in a group effort intended to serve wounded warriors? If so, God bless you! Authors and friends Stephanie Whitson, Judith Miller, and Nancy Moser each wrote a novella inspired by the ladies of the Basket Brigade. 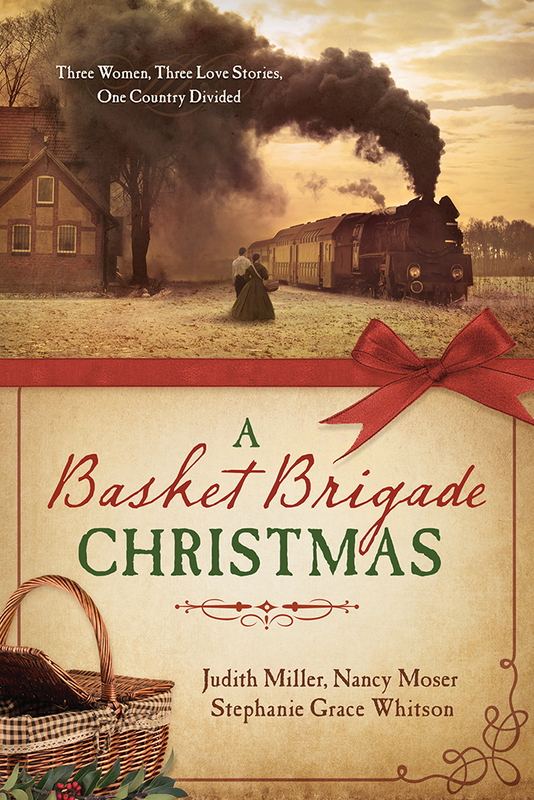 A Basket Brigade Christmas (now available from your favorite bookseller) was #10 on the ECPA Bestseller list for October. They did the same thing here in North Platte Nebraska during WWII. The canteen is gone but the stories and pictures live on. Yes, the North Platte canteen was an amazing fete. When I saw this museum display, I immediately thought of it! What inspiration can be found in such memories. Thank you. You're welcome, Linda. Thanks for taking time to stop by today. Have a great week. Just think how hard those women must have worked to create such a nice meal for so many soldiers. What they did was certainly a blessing to wounded warriors. I was especially impressed because the town wasn't all that big at the time this was happening. It took a lot of effort and organization. But the women were up to it ;-). Thanks, Diane. I've been equally amazed as I've sought out the "behind-the-scenes" stories about all the women did. And incensed by some museum exhibits that ignored them ;-). She was bold, and I have always wondered if there was an interesting "rest of that story." So I made one up ;-) ... and the note's recipient lands on her doorstep in my novella. It's good to know I wasn't the only one who had never heard of this. As a civilian Civil War reenactor I really enjoyed the stories especially the actual notes that were included. Women and children did amazing things during that time in the effort either to provide for themselves or for the soldiers. If people are looking for a book orientated towards children in this area I would recommend "Hattie's War" by Hilda and Emily Demuth. Were there other sources that you used for these stories? Thank you for that recommendation, Karen. The main resource for us other than typical local history information was a little known memoir published by a woman who was part of the Basket Brigade. 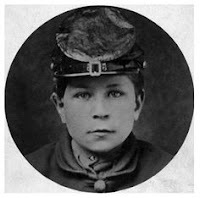 As a civilian Civil War reenactor I really enjoyed these stories. Women and children were doing amazing things during the war either to provide for themselves or for the soldiers. If people are looking for reading material in this area for children about children I would recommend "Hattie's War" by Hilda and Emily Demuth. I forgot to ask in my other comment if there were any other sources that you came across in preparing your stories? Karen, I'm sorry I didn't see this when the blog originally posted. If you are still interested, I'll compile a list of the resources I have used about civil war women. e-mail me at stephanie at stephaniewhitson dot com. I have just completed the 2 novella's in this book and going to the third. It's a lovely book. Warm-hearted, feels good and restores faith in humanity. Very well written and encouraging. Thank you SO much, carolyn. That's wonderful to hear. We three authors just reissued the book (it was out of print) and now it's available as an ebook, too.